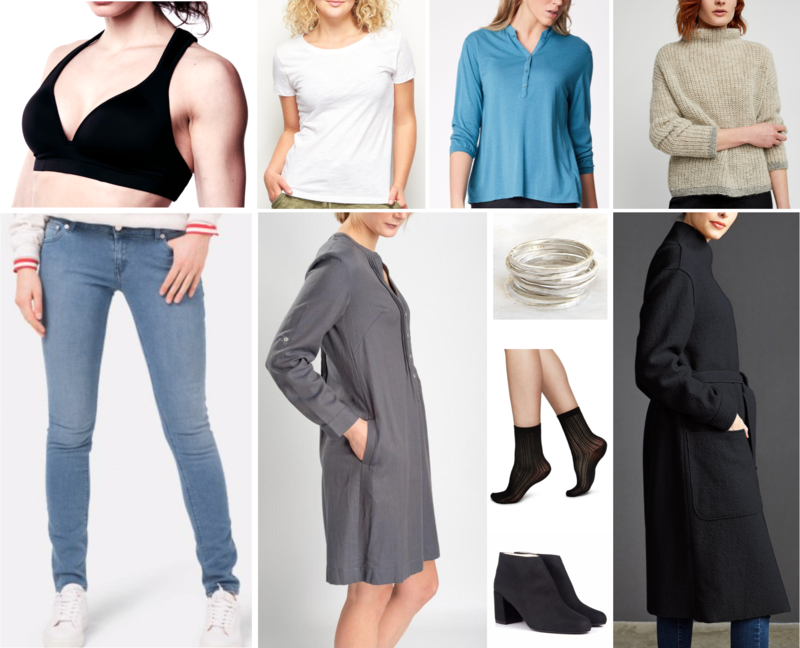 A capsule wardrobe is made of carefully selected pieces that express who you are, fit your body, your lifestyle and can be combined in many different ways. Because we love our planet, for us it is all about sustainable consciousness. We encourage investing in good & fair quality pieces. This saves time, money, and builds a strong personal style – while respecting the planet and its people. 7. The trench coat, that keeps you safe and stylish! Add a statement necklace or pair of earrings, your favorite colored scarf, be playful & colorful, have fun! Head to the Fair shop and try some of the pieces we found. Unoa T-shirt ; Mud jeans skinny pure blue; People Tree knitwear; Bibico Lucy dress; HTH Bobble Hat; Swedish Stockings Klara Black Socks; Juna Stacking Rings; Langer Chen Coat. Celebrate the luxury of keeping it simple. ← Active Support? We Have You Covered!